When you are fed up with the never-ending housework, do yourself a favour and ask your trusted cleaning contractor in North London for help. Our skilful cleaners are on standby 7 days per week and they are capable of dealing with a variety of household duties. You only need to specify your requirements and they will take care of the rest. Our company operates in the cleaning business for a considerable amount of time already and during our vast experience we have managed to prove our reliability to hundreds of people. We believe that it is not only house cleaning what our customers need, therefore, we would never hesitate to go the extra mile and deliver them a service of high quality. Work with us once and we guarantee that you will turn to us again. With us you don’t need to worry about results because we collaborate only with knowledgeable and diligent operatives with wide experience in this field. 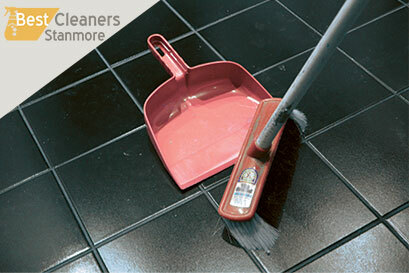 In order to contribute to the quality of their work, we supply them with the most modern cleaning materials. We would like our customers to feel comfortable in the presence of our cleaners, therefore, we employ only fully insured young individuals. Our house cleaning service is available all over North London and includes domestic duties like hoovering, mopping, dusting, cleaning of the kitchen and the bathroom, etc. Once in your home, however, our responsive cleaners will assist you in the best possible way, so don’t hesitate to raise your standards as well as your expectations. If you prefer spending your free time doing much more interesting things than cleaning, our professional house cleaning services are the perfect solution for you. Our qualified cleaners are always ready to tackle the domestic chores instead of you and give you more time to enjoy your life.